The Coachella Valley Music and Arts Festival 2019 has begun from April 12. And the good news is that the annual music and arts festival, is live streaming this year! For those who are not attending the Coachella Festival, you need not be disappointed. The three-day fest can be watched by fans brought to you by official live stream. The fest celebrated at the Inland Empire's Coachella Valley in the Colorado Desert. With the first weekend of Coachella 2019 kickstarting, incredible performances have been lined up. It features headliners Childish Gambino, Tame Impala and Ariana Grande. Supporting artists include Khalid, Janelle Monae, The 1975, Dillon Francis, Diplo, Zedd and Wiz Khalifa. But don't worry if you are not attending the festival because it will be available to you by YouTube streams. It is live-streamed worldwide. You'll able to watch the performances by Janelle Monae, Solange, The1975, J Balvin, Diplo, and K-pop stars Blackpink. Arina Grande, Bad Bunny, Khalid, VANESSA and many more artists are set to perform on Sunday. 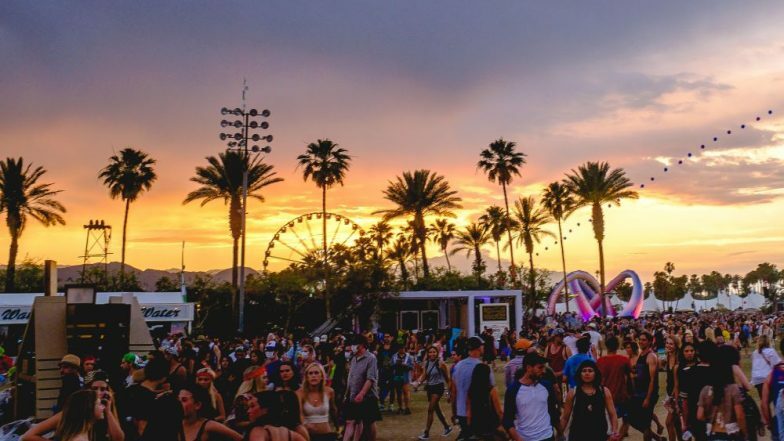 Coachella is slated to happen over the next two weekends in Indio, California. The first-weekend has kick-started from April 12 and will end on April 14. The second weekend commences on April 19, which will be held till April 21. On April 13 Rihanna is set to debut her mysterious new film, Guava Island, with Childish Gambino and In totality about 58 confirmed artists participating in the live stream this year.